“During the #HITsm chat on Feb. 19 at 11 am CT, HIMSS, its social audiences, and class of HIMSS16 social media ambassadors focus the social conversation on change – and simplification. Join us as we ideate around the following four questions to segue the HIMSS Conference & Exhibition and a year-long conversation on tech-enabled change in healthcare. Join Health Standards, our “sister blog,” for the annual pre-HIMSS Conference #HITsm Tweetchat. The big event happens at 11am, CT, Friday, Feb. 19 on Twitter. The HIMSS marketing team will moderate the topics. And, we guarantee that you’ll have your head spinning when trying to follow along with this one, as it typically is the most-attended tweet chat of the year, with approximately 150 friends tweeting in. We’re excited for #HIMSS16! 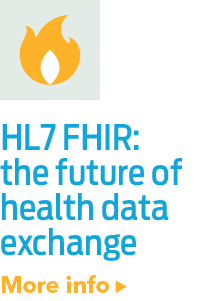 Please stop by our booth, #3408, to see how we’re using HL7 FHIRFHIR stands for Fast Healthcare Interoperable Resource. 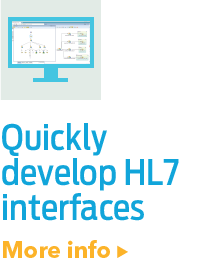 This emerging standard combines the best features of HL7 V2, HL7 V3, and CDA, while leveraging the latest web service technologies. The design of FHIR is based on RESTful web services. With REST... in Corepoint Integration Engine. 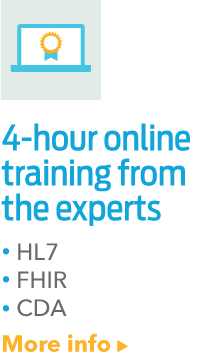 You can also sit in on five different FHIRAn HL7 standard that is short for Fast Healthcare Interoperability Resources and pronounced “Fire”. The standard defines a set of “Resources” that represent granular clinical concepts. The resources provide flexibility for a range of healthca... educational sessions taught by our CTO Dave Shaver.